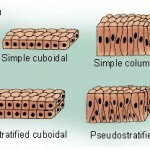 Epithelium is one of four basic tissue types and covers the entire surface of our body’s. It’s a specialized tissue and lines all internal and external body surfaces. It’s also the only tissue with polarity. 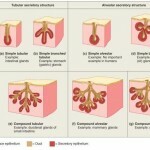 In this article we discuss the five main characteristics of epithelium, review slides of each type, discuss size, shape, and location, and final, classify epithelium into different sub-categories for better understanding and organization.